Experience modern luxury at the Raleigh Marriott Crabtree Valley! The newly designed property will fit the needs of all travelers with casual spaces to connect, a centralized location for groups to meet and an ideal multi-purpose event venue. Guests of the hotel will find themselves in close proximity to corporate parks, universities and across the street from the Crabtree Valley Mall, the area's best shopping and dining. 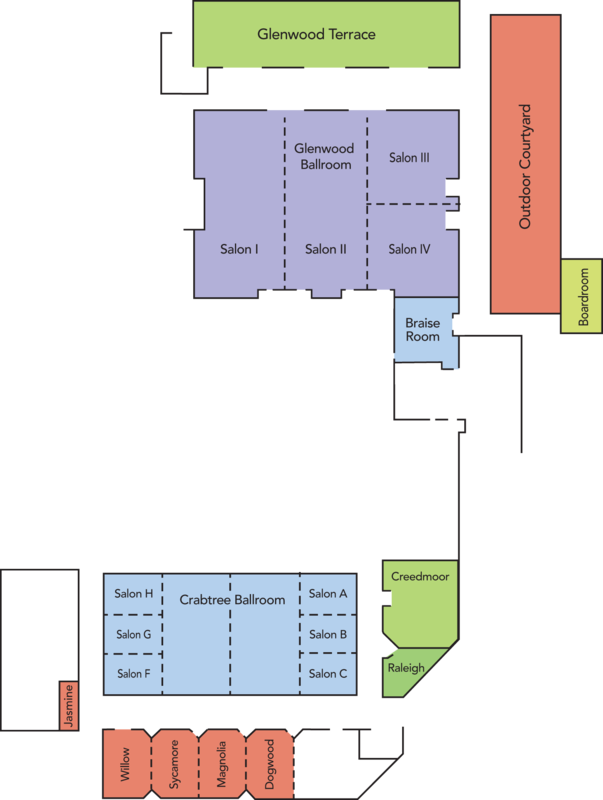 Prepare to be amazed with the additional 10,000-square-foot ballroom, which accommodates more than 500 attendees. Explore the Great Room concept perfect for networking and socializing. Entice your palate in the lobby bar and the newly designed restaurant—Braise Contemporary Southern. Relax and enjoy a hand crafted beverage on the outdoor terrace overlooking the pool. Experience the brand new, state-of-the-art fitness center and unwind in one of the 379 newly designed sleeping rooms! Raleigh Marriott Crabtree Valley looks forward to hosting you!